Interference between the Channels i.e It may Happen that the Channel that Your Modem is Using is also Used by Your Nearest Neighbourhood. Basically Wireless Internet Connection Speed Relies on the Frequency Bands called Channels. Poor Network Area i.e The Location Where you are Using Tata Photon Plus is a Poor Network Area. 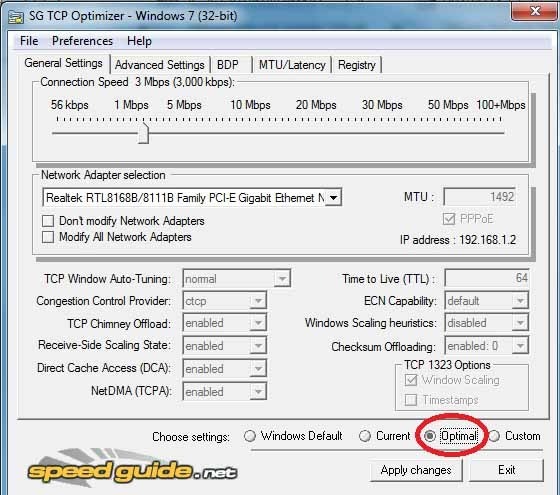 First of all Download and Run TCP Optimizer on Your Computer (Download Link). Note – It is an .exe File So you don’t need to Install it Just Run it by Double-Click on the .exe File. Restart Your Computer So that New Applied Changes can take Place. That’s all and You are all Done.Now You can Enjoy Amazingly Fast Internet Speed. Note – It’s not Necessary that this trick will help for all the Users but it has Improved the Speed For Most of the Users.It Vary Upon the Network that You are Getting and Your Location. Very helpful information thanks !!! !